More than two-thirds of white evangelicals continue to support President Trump, along with almost half of white Catholics and white mainline Protestants, according to a new study released by Pew Research Center.Reproduced from Pew Research Center; Chart: Axios VisualsWhy it matters: White evangelicals consistently have a disproportionate impact on elections and were key to Trump's 2016 victory. They only made up 15% of the population in 2018, but accounted for more than a quarter of midterm voters, according to Robert Jones, the CEO and founder of the Public Religion Research Institute. Ahead of 2020, Trump remains their favorite candidate. Non-white Protestants and Catholics, as well as the religiously unaffiliated, are overall significantly less likely to support Trump. Between the lines: Support for Trump has fallen over the past few years among white evangelicals, but they remain the only religious group with a majority that favors Trump. 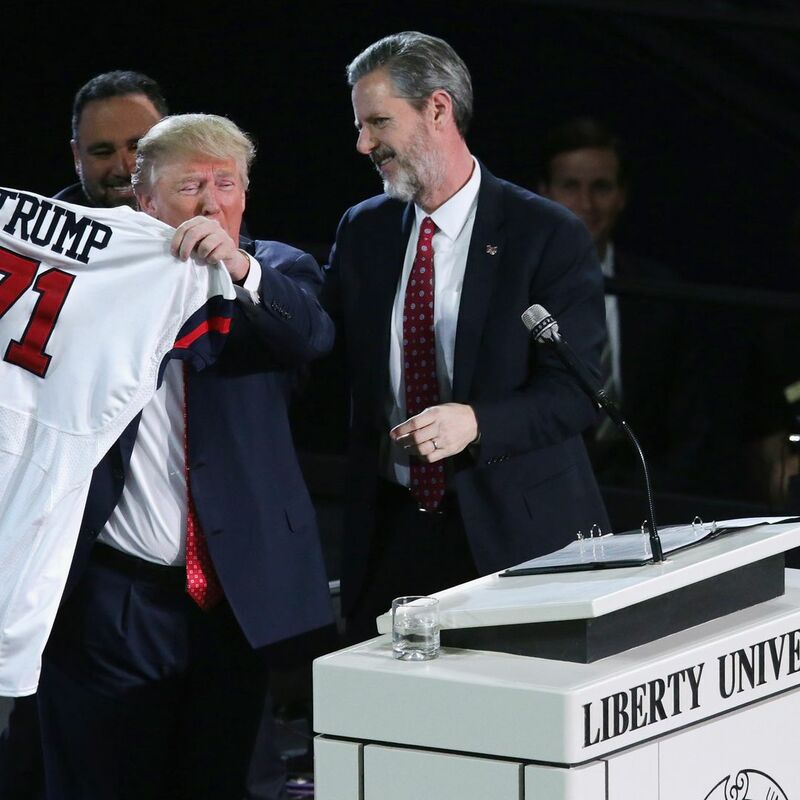 Their support has been bolstered by the willingness of several prominent religious leaders to publicly defend Trump.Jerry Falwell Jr., the president of Liberty University, even defended Trump's "very fine people" statements on the white supremacist rally in Charlottesville in 2017. He told ABC at the time: "He has inside information that I don't have. I don't know if there were historical purists there who were trying to preserve some statues. "Franklin Graham, the son of evangelist Billy Graham, explained to Axios on HBO last fall why the church continues to support Trump despite his immoral behavior: "I never said he was the best example of the Christian faith. He defends the faith. And I appreciate that very much," he said.The bottom line: U.S. demographics are quickly changing, and the GOP will not always be able to count on the voter groups — such as white evangelicals — that they have long depended on. But as 2016 proved, the white, religious vote still carries a lot of weight.